I thought this was kind of interesting. 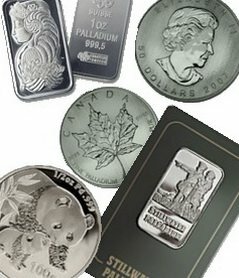 Ford, in 2001, fearing that the current $1000/oz palladium price would rise more, decided to increase palladium stockpiles and use huge amounts of money to buy palladium reserves. The 90s was a decade of profit for Ford. But in 2001 they knew Palladium reserves could be cut off at any time (top palladium production was Russia) so Ford, knowing they couldn't produce cars during a palladium shortage, purchased a large enough palladium stockpile to report losing $1 billion after the palladium price dropped 75% back to normal levels.